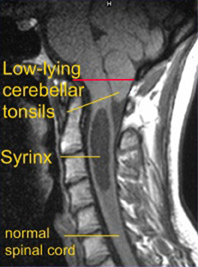 Arnold-Chiari malformation is a condition in which portions of the brain (the brain stem or cerebellum) descend below the skull and into the spinal canal. 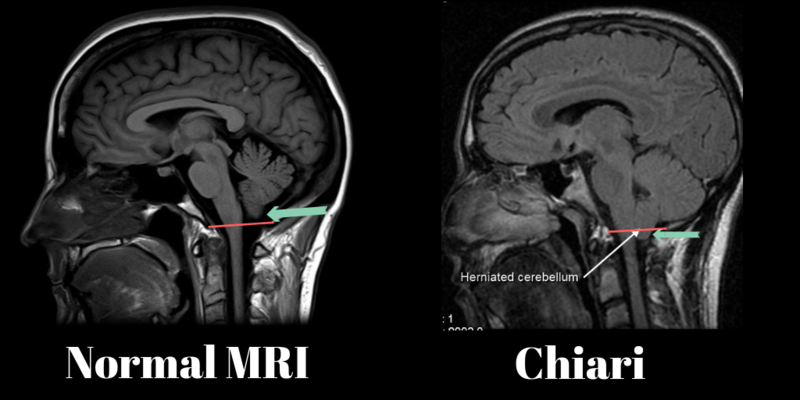 You can see an image of a normal brain MRI and a classic Chiari malformation shown below. The estimated prevalence for Chiari is about 1 in 1000 people. The good news is that this issue doesn’t cause a problem in most people. Many times people will show a Chiari while getting an MRI for a problem like neck pain, and the Chiari is just an incidental finding. 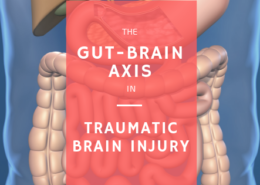 Many patients are born with this brain abnormality, but things like spinal taps and head/neck trauma have been shown to cause cerebral spinal fluid abnormalities that cause the brain to descend into the spinal canal. Because Chiari symptoms are non-specific in nature and because so many Chiaris are asymptomatic, you can’t diagnose someone’s problem by symptoms or imaging alone. So how do you know if Chiari is causing your problem? A part of your brain called the choroid plexus is constantly producing cerebrospinal fluid from circulating blood flow. In cases of chiari, the pressure from cerebral spinal fluid pushes against the skull and the brain. Since the skull is solid after childhood, the pressure from the fluid is going to compress the brainstem and cerebellum leading to the symptoms we discussed before. Prolonged pressure from cerebrospinal fluid can force it’s way into the spinal cord creating a lesion in the spinal cord called a syrinx. These syrinxes can cause pain and loss of sensation into the arms and legs in some cases. In other cases, they are not symptomatic at all. In the case that someone has chiari, syringomyelia, and chiari type symptoms, a surgical procedure to expand or remove parts of the skull and the protective covering of the brain can be done to alleviate this pressure. Can Chiari symptoms be addressed conservatively? 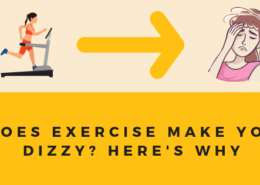 This can be a tough question to answer for a few reasons. Chiari is not symptomatic in a lot of people, and the symptoms of chiari are symptoms that commonly arise in a variety of pain and balance disorders. It’s hard to tell if a treatment actually addressed the consequences of chiari or by another reason. Additionally, traditional chiropractic high-velocity manipulation is considered a contraindication to chiari malformations. The rationale for this is that a forceful maneuver to the neck may worsen or exacerbate the pressure to the brain stem. There’s no real data to support this, and there are even a few case studies showing no harmful effects. 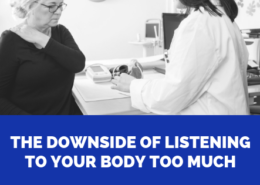 Plus, considering how many patients likely have an asymptomatic chiari and get chiropractic, it seems unlikely that someone with a small chiari would be an absolute contraindication. But let’s just assume that high-velocity low-amplitude manipulation is problematic. Is there room for a low-force procedure to help? 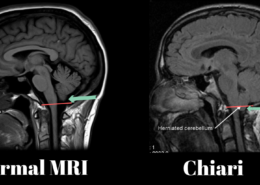 Some of the work done by Dr. Scott Rosa using upright MRI suggests that a low-force upper cervical technique is more than just safe, but it may help patients with symptomatic chiari. There’s a theory that traumatic injuries to the neck like those seen in whiplash can cause susceptible patients with shallow skull bases to have their cerebellum protrude into the foramen magnum. 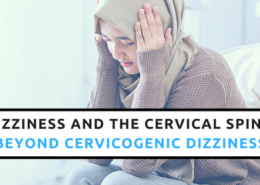 Michael Flanagan wrote about this concept and how the top of the neck called the craniocervical junction could be a potential choke point for the normal flow of cerebrospinal fluid in the brain. Not only can a chiari cause this blockage in spinal fluid, but misalignments in the top of the neck can create this blockage and potentially create the environment to cause or worsen a chiari after trauma. You can see a cool pre and post adjustment video from one of Dr. Rosa’s patients below. Not only has Dr. Rosa noted changes in cerebrospinal fluid movement, he has also recorded changes in the size of a chiari by using MRI scans after an adjustment. It’s actually pretty amazing to see! Thanks to new methods of neuroimaging, scientists are able to see the how spinal fluid impacts brain motion with some startling visibility. The video you below shows how each heart beat creates a pulsing motion of cerebrospinal fluid in the brain of a patient with chiari. A study using this technique showed alterations in normal brain biomechanics related to changes in how the chiari affects cerebrospinal fluid pressure. The study was only done on one patient, but more work is being done to investigate this phenomenon. There is also evidence that upright imaging may show that more patients have a chiari than anticipated in patients in whiplash. Historically, non-specific nature of chiari symptoms have been reason to dismiss it as an entity that can cause pain and illness, but from the experience of many craniocervical chiropractors, there may be more people with this problem that can get relief from a gentle approach to the upper neck. 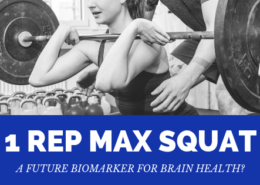 New Research Shows Concussion + Neck Injury = Longer Recovery Why Do We Do Balance Tests After an Atlas Correction?